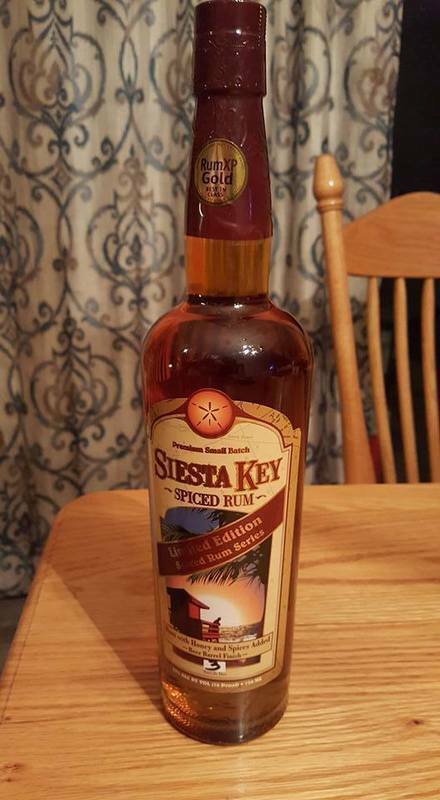 Have you found an online vendor selling Siesta Key Beer Barrel Finish Spiced? As other reviewers have pointed out, every batch of this rum is a new and different expression. For my review, I am enjoying Batch # 3, which was finished in beer barrels that once held a Cherry Stout from Cigar City Brewing in Tampa. This bottle is the prize of my collection, and I still have half a bottle left. On the nose you pick up baking spices and nutmeg with a mix of cherry and cranberry and just a hint of oak. The first sip is full of rum flavor that leads to Christmas spices and a long finish shows you a hint of beer in the end. This is not a rum for anyone who will poo-poo something with added sweetness. The distiller is transparent about adding honey and spices, and the end result is worth it. I grew up on Captain Morgan, will still enjoy an occasional Diplomatico, and this rum is an all-time treat for me. This offering changes and the one I tasted was from Batch 9: These barrels were used by JDub's for an un-named imperial stout. They use barrels that had previously held beer. Tasty offering but it will probably not be my go to just a changeup. This rum is different every year. The one I tried in 2016 was aged in barrels that previously housed a dubbel style beer. It had a chocolate like flavor but a strong alcohol burn.